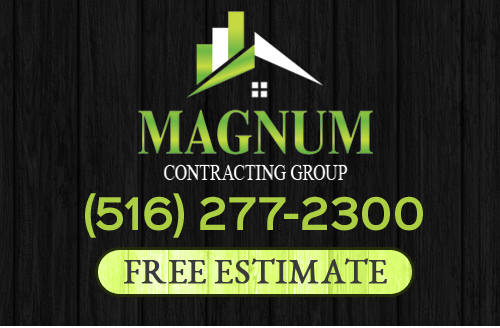 Here at Magnum Contracting Group, our team of Glen Cove roofing contractors are proud to offer our expert service to all of our local customers, both residential and commercial. We have been the premier roofing company in the area for one reason above all others, and that is our commitment to excellence. In every service we provide to our customers, we put their needs first and foremost, and we don't call a job finished until they are completely satisfied with the results. In all of work, it is our goal to add long-term value to your home or business property by delivering only the highest quality work. If you are looking to hire a professionally licensed Glen Cove roofing contractor that you can count on to deliver excellent quality results, it's time to call the professionals at Magnum Contracting Group today. Our team of experienced and courteous staff are always standing by and ready to answer your questions, whether they are about scheduling service, or just roofing advice in general. We are always happy to answer and questions you may have and inform you of the many ways we can help you achieve the goals you have in mind for your home. Give us a call today, we would love to help you schedule your appointment. The roof of your home forms the first line of defense for your home against inclement weather and the elements. If any part of the structure of your roof is compromised, water and debris can find their way into your home and you could be looking at a great deal of additional damage in a very short amount of time. Because of this, it is important that you have any roofing repairs professionally serviced as soon as you notice the damage to your roof. It is always wise in these kinds of situations to seek out professional help, as it is very easy to do cause further damage to your roof while trying to fix it if you don't have extensive experience with those kinds of repairs. Our team of Glen Cove roofing contractors are specialized in both routine maintenance and roofing repairs for commercial properties and residential homes in the area. During our roofing inspections, we can help identify and fix any minor leaks or issues with your roof before they have a chance to develop into more serious problems. With our insurance restoration services, we can also help you to resolve any major roof damages from storms and the like as quickly and efficiently as possible. In addition to our excellent roofing services, we also offer a wide range of remodeling services, including full kitchen remodeling. The kitchen in your home is one of the most important rooms in the house. It serves as a bustling social hub for you, your family, and friends to hang out and share stories about the day and share meals. The key to any successful kitchen remodel is to both enhance the aesthetic of the room while also improving its functionality and customizing it to your particular needs. Our team of remodeling experts at Magnum Contracting Group can give you the expert advice and expert service you need to truly transform your old kitchen into something new and amazing. If you are looking for a professional Glen Cove roofing contractor, call the experts at Magnum Contracting Group today at 516-277-2300 or complete our online request form.